The Radial SGI is a high performance line driver that takes an unbalanced guitar signal and allows you to drive it as far as 100 meters (300ft) without noise. In the studio, it allows the guitarist to sit in the control room and connect to a distant guitar amp. 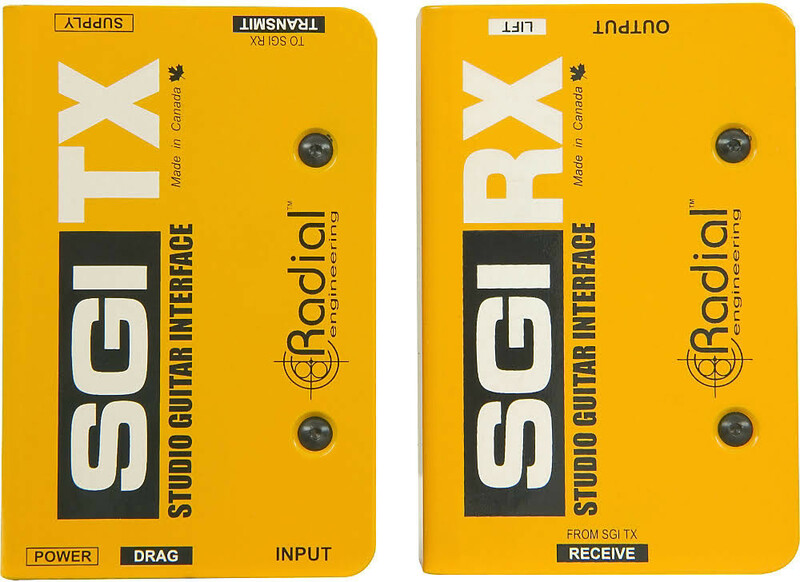 On stage, the SGI can be used to play the guitar amp using off-stage isolation cabinets or be used to manage guitar signals to and from wireless systems, pedalboards and amplifiers.The SGI consists of two boxes: the SGI-TX transmitter and the SGI-RX receiver. 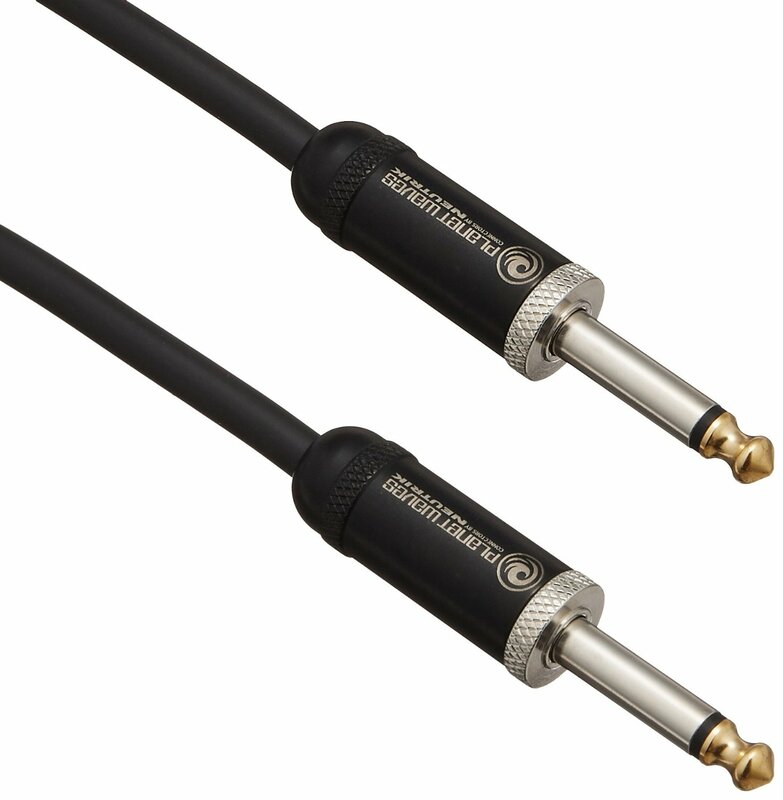 The connection between the TX and RX is made using a standard balanced XLR microphone cable. To use, you simply plug your guitar into the SGI-TX input and connect your amp from the SGI-RX output and you are set to go. The SGI does all of the balancing, buffering and impedance matching for you.The real magic occurs inside. The design begins with full size 100% discrete parts with Radial's award winning class-A buffering circuit design. This is augmented with Drag Control load correction that lets you replicates the tone and feel as if connecting a guitar directly to a tube amplifier. To ensure noise free performance the system is transformer isolated, eliminating hum and buzz caused by ground loops. 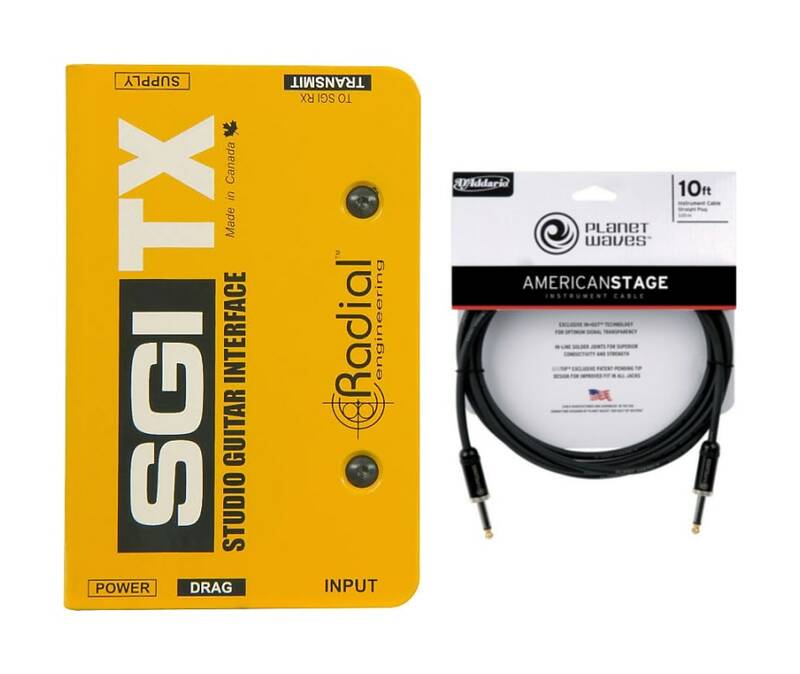 And with artists as diverse as Carlos Santana, Eric Clapton, Jeff Beck, Joe Perry and Metallica all using the SGI, you can rest assured the tone of your guitar will sound the way it should.The Radial SGI - The world's most amazing guitar signal driver! The Radial SGI - The world's most amazing guitar signal driver!